Wash Day & Chill Instagram Giveaway! Though paigemariah.com turned 3 years old in January, it's officially been a year since I've been blogging consistently and I'm so appreciative of all the love & support I've received. So, I thought I'd celebrate with a special Wash Day & Chill Giveaway on Instagram! Click through for info on how to enter! 1. 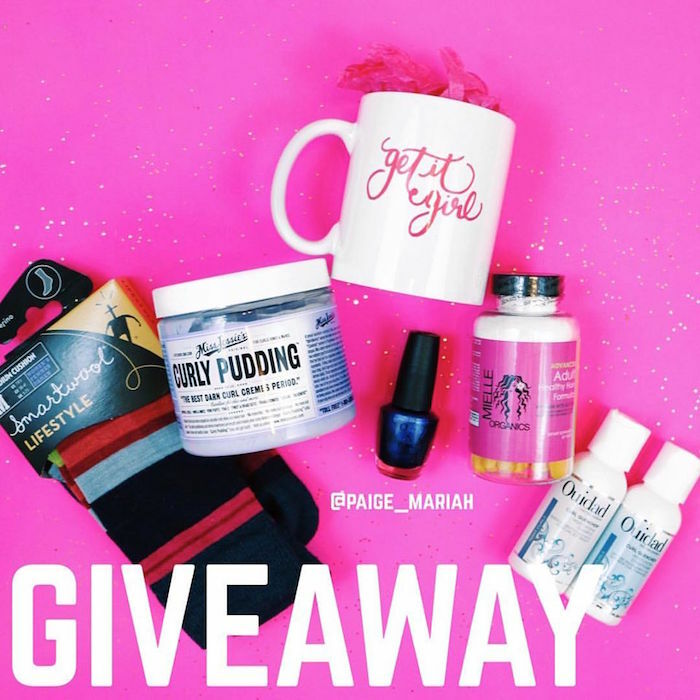 Make sure you're following me, @paige_mariah, on Instagram & like this giveaway photo on Instagram! 2. Subscribe to my YouTube channel 🎥 (link in bio). 3. Tag 2 friends in the Instagram comments who you know would love to enter too! To be eligible to win you must have followed all 3 steps at the time one winner is chosen at random. The contest will end Sunday, March 13th at 5PM CST. Winner chosen will be notified the same day at 7PM CST. Good luck!